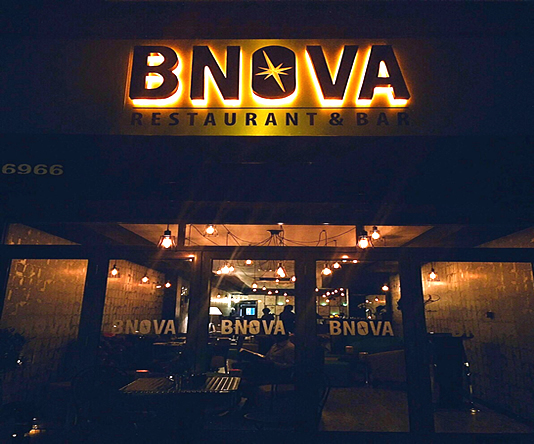 A boutique restaurant nestled in and amongst the slopes and foothills of Stanmore, BNOVA serves modern Indian cuisine with a contemporary twist. The concept is a world away from the traditional curry house; our philosophy and style is tasteful but simple. We aim to create a lasting and memorable experience – filled with happy moments and wonderful flavours. Our menu offers an insight into Indian cooking taken from a rich and diverse culinary tradition. We go to great lengths to ensure all our ingredients are fresh and our dishes authentic. The menu pays homage to the roadside culinary geniuses of India who provide us with the sounds, tastes and smells that have popularised Indian food the world over. These street vendors working in the sweltering heat nourish the appetites of busy office workers, rickshaw wallahs, shoppers and urbanites. Like them our food is simple, lovingly prepared and reflects the tastes of India today.